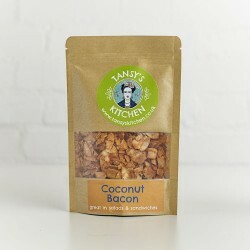 Specialising in creating unique products with plant-based ingredients. 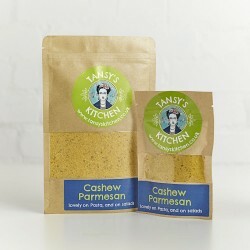 Tansy's Kitchen know that eating plants is a great idea for the planet and a great idea for our bodies too, so they like to re-imagine classic dishes with plant-based ingredients. They believe that food should be nourishing but can also be gorgeous, comforting and fun. 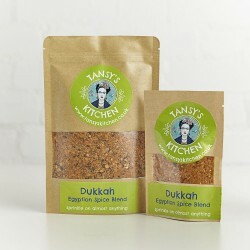 Their innovative products include Coconut Bacon, Cashew Parmesan Tumeric and Dukkah Spice Mix. 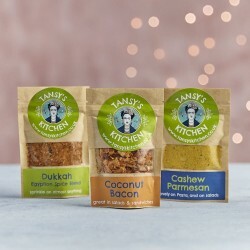 You don’t have to be a vegan to benefit - whatever your diet, their exciting plant based products will add some adventure to meal times.